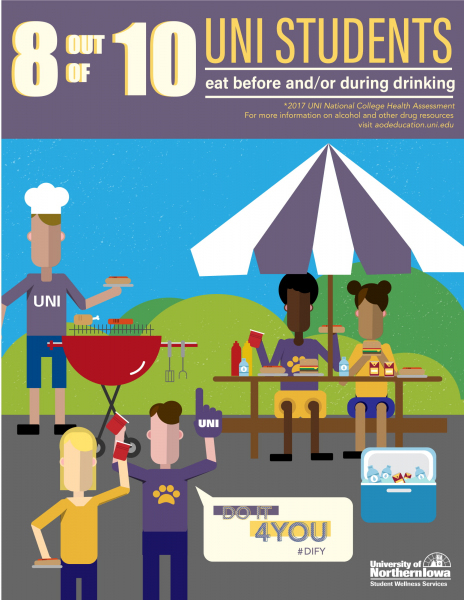 Student Wellness Services developed an alcohol and other drug social norms campaign based on data from the Spring 2017 UNI National College Health Assessment. 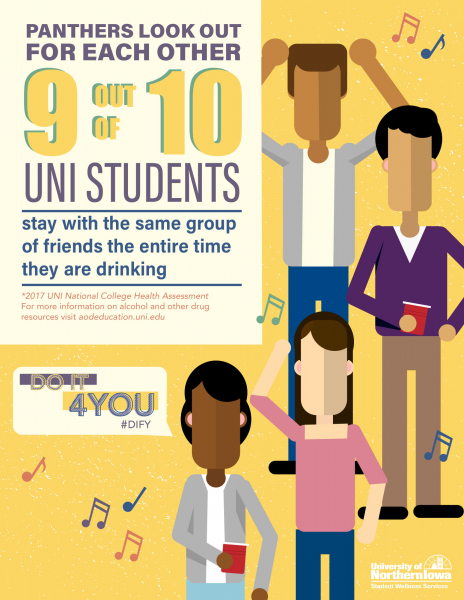 The data shows that many UNI Students greatly overestimate the amount of high-risk drinking or drug use that occurs at UNI. 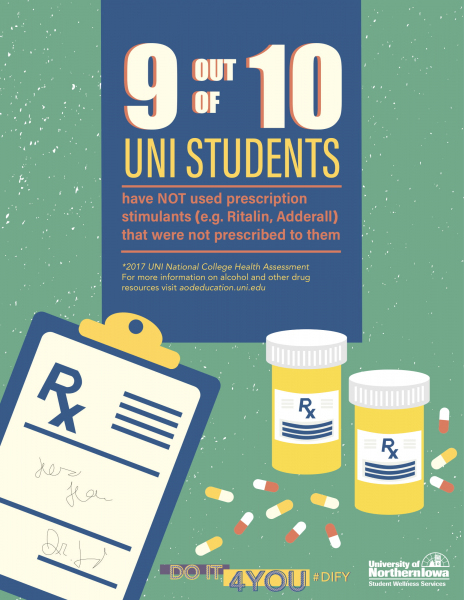 Contrary to this belief, our data shows that many UNI students are making responsible and healthy choices related to alcohol and other drugs. 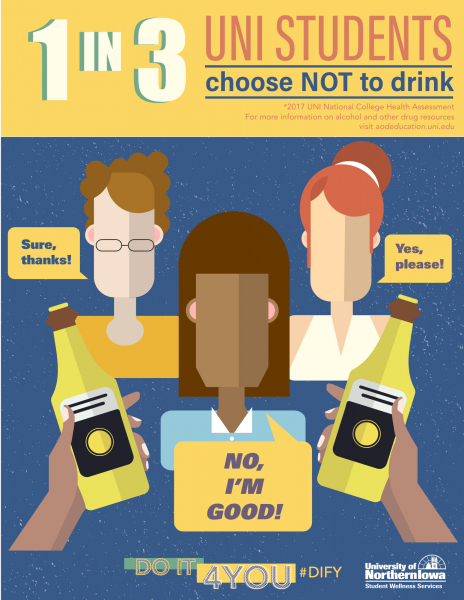 We are seeking to provide students with an accurate picture of alcohol and other drug use on campus in effort to influence healthy behaviors and reduce substance abuse at UNI. For questions or to learn more about the campaign, email wellness@uni.edu. 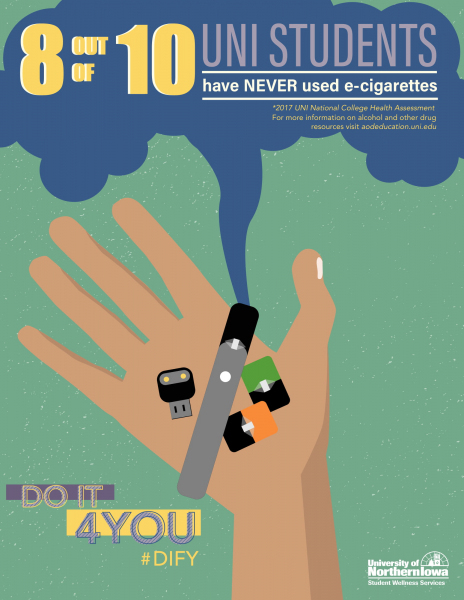 The University of Northern Iowa adheres to the laws of the state of Iowa, and strives to create an environment that supports healthy decisions and lifestyles. 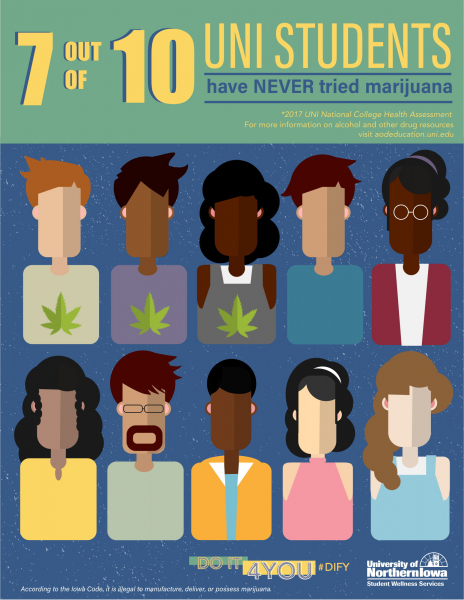 While the use of illegal drugs is prohibited, the University acknowledges and respects the rights of individuals to use alcohol in a legal and responsible manner, just as it acknowledges and respects the rights of individuals who choose not to use alcohol. 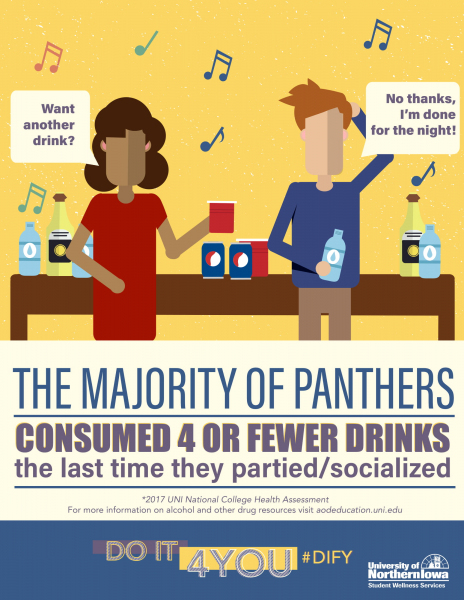 Although the moderate consumption of alcohol may be an acceptable part of certain social activities, alcohol and drug abuse interferes with the ability of the University to achieve its mission and can adversely affect individuals, the university, and the larger community. 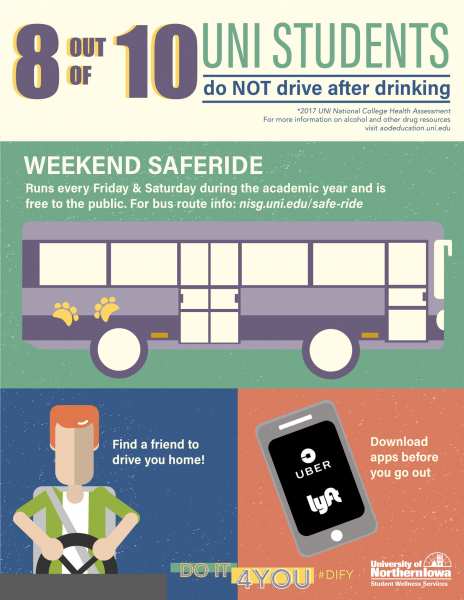 For more information on UNI's alcohol policy. For more information, contact Shawna Haislet, Health Promotion Coordinator at shawna.haislet@uni.edu or call (319) 273-6119.